Experience the Asian festival! 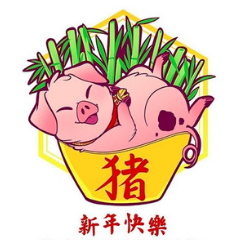 Come and join the Asian Cultural Festival of San Diego on Saturday, May 4, 2019 at Mira Mesa Community Park San Diego. Enjoy the family-friendly, fun, and free event! 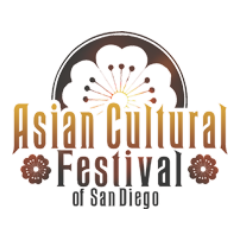 The Asian Cultural Festival of San Diego is the LARGEST celebration of Asian Pacific American Heritage Month in San Diego and features two stages of cultural and traditional performances from a dozen countries and cultures, including Japan, China, the Philippines, Vietnam, Korea, Myanmar, Indonesia, Hawaii, Cambodia, Thailand, Taiwan, Polynesia, and more! Come and have fun! Experience the 49th Chicano Park Day Celebration on Saturday April 20, 2019 at Chicano Park San Diego. Enjoy this event with your entire friends and family! 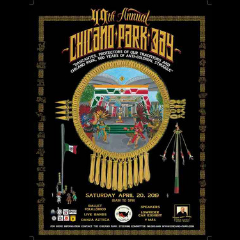 The theme for the celebration is “Danzantes, Protectors of Our Traditions and Chicano Park, 500 Years of Anti-Colonial Struggle.” Visitors to Chicano Park Day will experience traditional music and dance, including one of the largest groups of Aztec Indigenous dance, coordinated by Danza Azteca Calpulli Mexihca. The day will be filled with performances by ballet folklórico groups and numerous live bands, lowrider car show coordinated by Amigos Car Club, vendor booths, kids art workshop, and speakers. Hello runners! 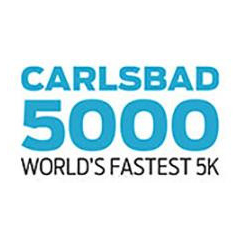 Come and join the Carlsbad 5000 on April 6-7, 2019 at Jefferson St & Grand Ave Carlsbad. Have fun and experience the Party by the Sea! Race weekend promises a fast oceanfront course, healthy competition, and energetic atmosphere for participants of all ages and paces. The event features multiple age-group races throughout the morning leading up to the legendary pro women’s and men’s races. The “Party by the Sea” gets started as soon as the first runners cross the finish line with participants 21 and older celebrating in the Pizza Port beer garden with two complimentary craft brews and runners of all ages rocking out to live music on the streets of the Carlsbad Village. Experience Japanese traditional activities! Come and enjoy the Cherry Blossom Festival on March 22-24, 2019 at Downtown Japanese Friendship Garden of San Diego. Have fun with your entire friends and family! During March 22, 23, and 24 from 10:00 AM to 6:00 PM daily, visitors are able to enjoy the Japanese custom of hanami – appreciating the beauty of cherry blossom flowers. 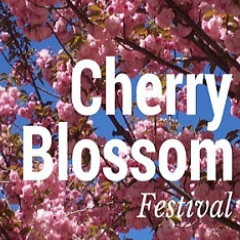 Last year, our cherry blossoms attracted over 12,000 people and are expected to surpass that number as this will be our third year holding the festival over three days! Each day will be accompanied by various food vendors, cultural performances and demonstrations, and a plethora of family-friendly activities! Please visit niwa.org for more details. Stretch and run! 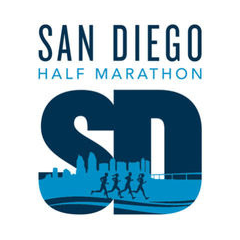 Come and join the San Diego Half Marathon & Padres 5K on March 10, 2019 at Downtown PETCO Park San Diego. Enjoy and an epic finish inside Petco Park! The San Diego Half Marathon has been designed to carry runners over a spectacular 13.1-mile USATF-certified course, while showcasing one of the world’s most beautiful cities! Our signature scenic route begins between Petco Park and the San Diego Convention Center on palm-tree lined Harbor Drive and continues with spectacular views of the USS Midway Museum, San Diego Bay, San Diego’s skyline, Harbor Island, Spanish Landing Park and Cancer Survivor Park. 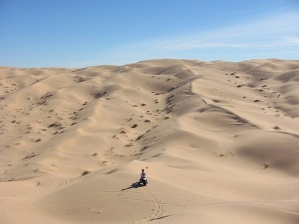 Have a one-of-a-kind holiday experience! 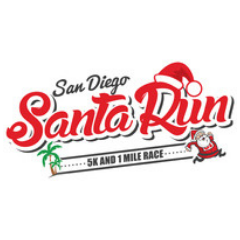 Come and join San Diego Santa Run 5K and 1 Mile Race on Saturday, December 15, 2018 at Mission Bay and Beaches San Diego. 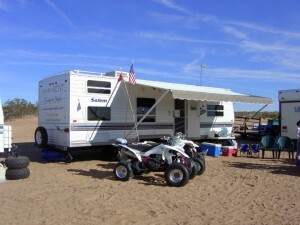 Spent time and have fun together with your entire family! The San Diego Santa Run is a holiday experience like none other in San Diego! The event will consist of a series of runs that will take place on Garnet Ave featuring a 5K fun run and 1 mile run waves that include run with your dog, kids run, and a competitive wave. Come out in your finest (or ugliest) Christmas attire as you take part in this one-of-a-kind holiday experience. Then stick around to watch the annual Pacific Beach Holiday Parade! Hello runners and walkers! 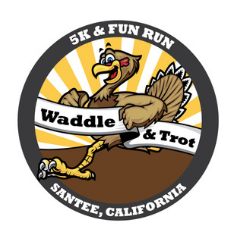 Join in the Waddle and Trot 5K and Kid’s Fun Run on Thursday, November 22nd. Bring your family and experience all the fun and excitement! Get your Thanksgiving off to a fun and healthy start while helping three great local charities. This fast and flat 5K race starts and finishes within the beautiful Santee Lakes Recreational Preserve. 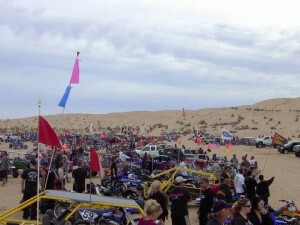 Santee Lakes will open Thanksgiving Day for this exclusive event. The course winds around the first five lakes and provides runners with an excellent scenic run. All proceeds benefit Santee Santas, Santee Lakes Foundation and Santee Food Bank. 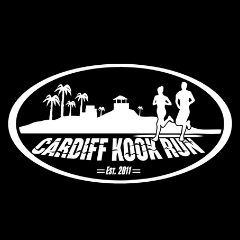 All participants receive a T-shirt and an online finisher certificate. Finisher medals are given to the top 3 male and female finishers within 10-year age categories.